A chic, modern new bridal boutique welcomes all brides of every budget, size and age to experience a truly unique dress shopping experience! 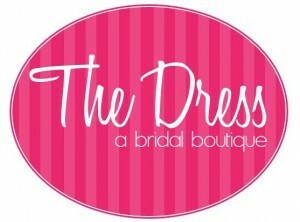 The Dress features bridal gowns, bridesmaid dresses, grad/prom dresses as well as unique dresses for any occasion! Designers we carry include: Blue by Enzoani, White One by Pronovias, Sophia Tolli, Winnie Couture, David Tutera, Bari Jay, Dessy, Love by Enzoani, Impressions, After Six, Alfred Sung, Enzoani, Beautiful, Modeca, Anaiss, and Moonlight. We hope to have the privilege of being involved with your special day and can’t wait to help you find The Dress!